School-level reports for the new School Quality Improvement Index are now available. A collaborative of nine school districts, including Long Beach, introduced the new index in December. The index uses a system of multiple measures to provide schools, teachers and parents with more and better information to improve student learning. In addition to academic achievement indicators, the index includes a first-in-nation use of social-emotional and school climate indicators such as attendance and results of student, family and staff surveys. The index was developed by educators in the nine school systems, who have formed the nonprofit California Office to Reform Education. Their research-based work includes input from educational accountability experts at Harvard, Stanford and other institutions. The index provides an overall score for each school from 1 to 100, while additional information on English (ELA), math and other measurements is provided as index levels on a scale of 1 to 10, with 10 being the highest level. These levels are also color-coded to show performance, with green for above average, orange for average, and red for below average. View more details about the index. The new system is being watched closely at the state and national levels because it is the nation’s largest demonstration of multiple, local education agencies developing and implementing a system to measure school quality using such a holistic, or more complete, approach. 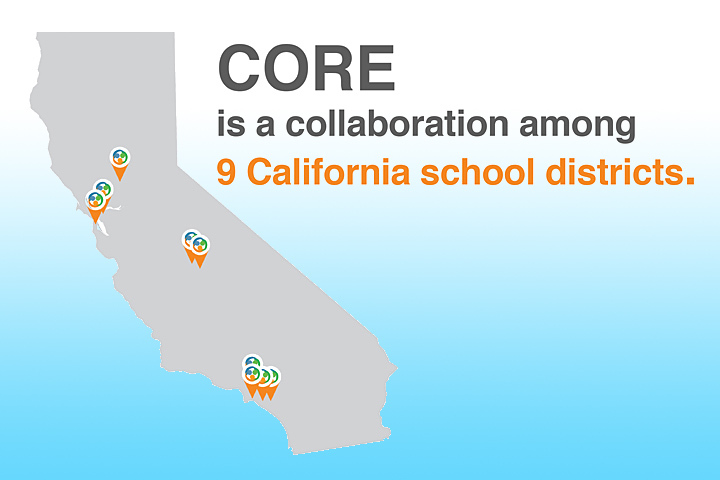 The CORE districts serve more than one million students. The new index, unveiled during a California School Boards Association conference in San Diego, is a key element of the CORE districts school accountability system under a federal waiver replacing certain No Child Left Behind (NCLB) rules. First-year index findings provide a baseline of information. Academic information accounts for 60 percent of the index and includes measurements of English language arts and mathematics learning, graduation rates and high school readiness rates of eighth graders. The social-emotional and culture-climate indicators are weighted at 40 percent of the index and include measurements of chronic absenteeism, suspension/expulsion rates, and English learner re-designation rates. The index ultimately will measure growth in academic achievement, and the social-emotional/culture-climate elements will expand to include student, family and staff surveys next year. The new accountability system meets the requirements of the recently adopted federal Every Student Succeeds Act. 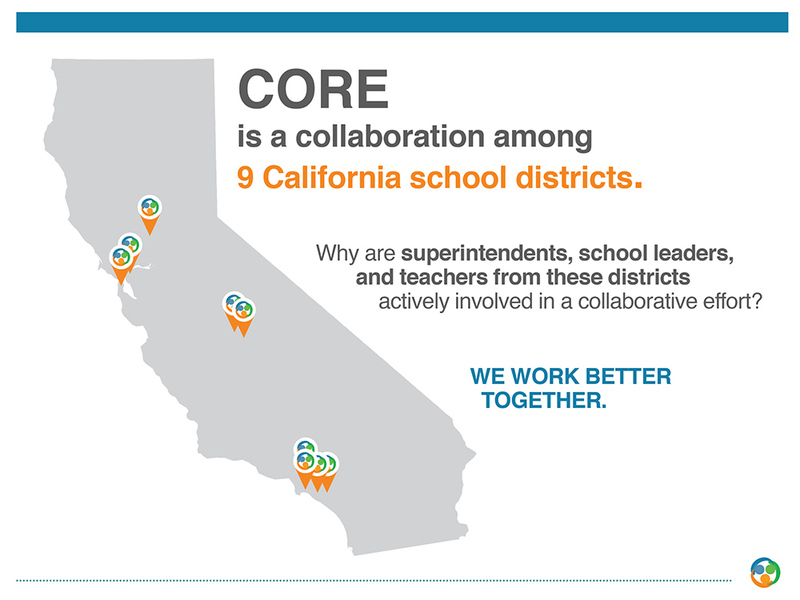 The other CORE districts are Fresno, Garden Grove, Los Angeles, Oakland, Sacramento, San Francisco, Sanger and Santa Ana.